I saw this interview on DailyGist360 and so wanted to share it with the world. I remember that incident like yesterday, if felt like a nightmare for a long time. The thought of children screaming in fear and dying was almost too much to bear. Fortunately, Kechi who was a student of Loyala Jesuit at the time survived the crash. I remember the Sosoliso plane crash. I remember my extreme homesickness adding to my devastation of the plane crash that took 109 lives from us. 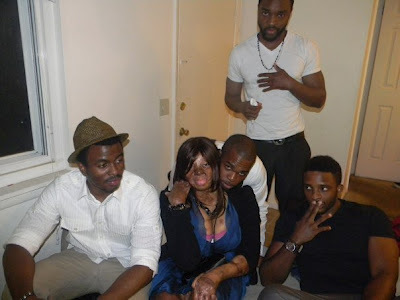 60 of them had been students from Loyola Jesuit College in Abuja and out of the 60, Kechi Okwuchi was the only survivor. With burns expanding to over 60% of her body and over 75 surgeries later, Kechi's story is one of perseverance and determination. Phone interview with Kechi. .
Y: Tell me about the actual crash, if you may. Kechi: The pilot announced that we were going to land in the airport in about 20 minutes and the plane started descending. I was in an aisle seat which is really unusual for me because I like the window so I couldn't really see what was going on outside. Suddenly everything seemed different. We were going down way too fast. Someone in the back was shouting. It was a woman's voice, "Is this plane trying to land?" When she said that, everyone started panicking. I looked to the side to my friend and she was looking really scared and I was probably looking just as scared. So we held hands and tried to pray, but before we could even start to say, "In Jesus' name", there was this really loud, searing sound right in my ear and the next thing I knew, I woke up in the hospital. Y: Understand that you don't have to answer any of my questions, but how did you deal with the loss of your friends and the other people you knew on the plane? Kechi: Well at that point when I woke up in the hospital, I automatically assumed that since I was alive, everyone else was alive too. I was told by the psychiatrist in the hospital 4 months later that I was the only survivor of all the students and only one of two survivors of the entire flight. I cried a whole lot. I was devastated. The first person I could think of was my friend Toke Bagru, the girl that was sitting beside me because she was my closest friend. She was the first person I thought of because she had been the last face I had seen before the crash. My mother was there with me the whole time, she's my rock. She let me cry everything out. I still cry, but I don't like the idea of being constantly sad about it. If I stay sad and constantly depressed, it's an insult to their memory. I want to live my life to the fullest, not just for myself, but for them too. Y: How do you handle your scars? Mainly, how do you handle the way strangers look at you? Kechi: It's a bit uncomfortable, I won't deny that. I try to make it not define me. Maybe it is America because people here are a little bit more reserved than in Nigeria where you know, strangers will walk up to you and go, "Ehh yaa, chai, what happened?" And in a way, that is actually a better reaction than the strangers here who stare in a really conscious way. I really don't have a problem with them looking because if it were me, I'd stare too. I try to put myself in their shoes and I don't really get annoyed as the world would think I would. It is a really gradual process. Y: Well, let's move to a different aspect. Tell us more about your personality, what you do for fun, your friends, how sense of style. Really, anything. Kechi: Well, pre and post the accident, I've always had this sense of confidence which I won't deny has helped me now. My friends describe me as a really cheerful and optimistic person and I see that. I like to smile and laugh a lot, I love joking around. I love video games and board games and I love spending time with my family. I love going to amusement parks, I love the fast rides. Fashion....well I like looking good. I really love looking good. I'm very fashion conscious, I go for comfort. My normal outfit during the day would be jeans and a t-shirt. I love different colored hats, I think because I lost the hair on my head, I just got into this hat crazy where my mother would get all kinds of hats for me. But recently I've been able to start wearing wigs. I love, love, love singing. It is my second favorite thing to do. Y: What are your plans and hopes for your future? 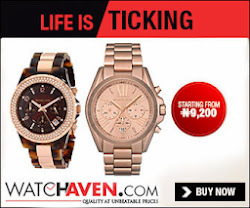 Kechi: I want to work in an advertising agency. I'm studying Marketing and Advertising in college now. I would hope to have a career involving both. More importantly, I pray that I will be able to become the type of adult who is able to make a difference. I wouldn't have been able to make it this far if it hadn't been for people who helped me out of the kindness of their hearts. I want to do things out of the goodness of my heart and not just for my benefit. Especially for Shriner's hospital that has treated me so far. The things that they have done for me....if I had to pay, I wouldn't have been able to do it. Y: What do you have to tell other out there about being comfortable in their own skin? Kechi: No matter who and where you are, you are always going to encounter obstacles. We never give up. Giving up was the one thing that I was not allowed to do. If you get to a situation where you feel that you should just give up and let go, that is the moment that you know that you shouldn't give up. You want to be able to know that you tried. If people feel that their life is worse because of some kind of accident, someone somewhere is going through the same thing, or worse. It gives me hope because I know that I'm not alone in dealing with my problems. "Shell Petroleum Development Company Nigeria, and the Shriners Kids Hospital USA have been pivotal to Kechi's surgeries, funding the countless surgeries that Kechi has undergone in the last five years. Shell covered her extensive treatment in South Africa, from 2005 till 2007. 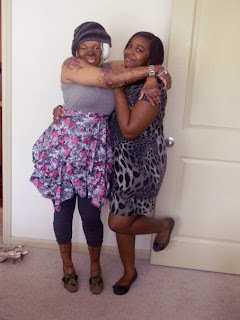 Upon Kechi's move to Texas in 2007, she received free treatment at Shriners Hospital, Galveston Texas, as she was under the age of 21, and a minor in the United States. 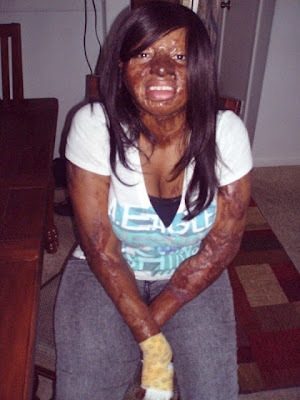 However, Kechi turned 21 in October, making her a legal adult in America and unable to receive any more free treatment. Unfortunately, though Kechi's surgeries are far from over, she will have to fund them privately." To see how you can help, please go to http://www.kechiokwuchifundraiser.com/ for more on her story and share it with people you know. It will go far people! Her words and spirit touched me and I hope it does the same for you all. RIGHT HERE is a video her cousin made for her and it certainly brought tears to my eyes the way he captured her beauty, eternally. thankGod that u survived . Kechi darling, you are beautiful. Stay strong darling. You are a treasure to this world. God bless you.